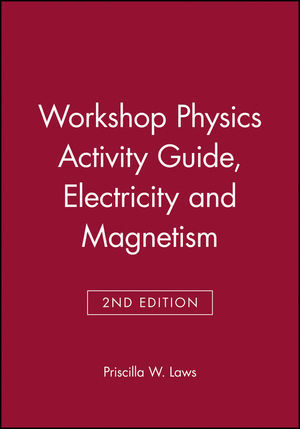 The Workshop Physics Activity Guide is a set of student workbooks designed to serve as the foundation for a two-semester calculus-based introductory physics course. It consists of 28 units that interweave text materials with activities that include prediction, qualitative observation, explanation, equation derivation, mathematical modeling, quantitative experiments, and problem solving. Students use a powerful set of computer tools to record, display, and analyze data, as well as to develop mathematical models of physical phenomena. The design of many of the activities is based on the outcomes of physics education research. 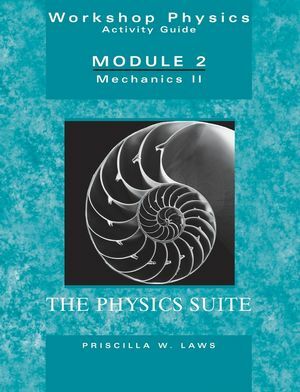 Priscilla W. Laws is the author of Workshop Physics Activity Guide, 2nd Edition, Electricity and Magnetism, Module 4, 2nd Edition, published by Wiley. Unit 1. Introduction and Computing. Unit 2. Measurement and Uncertainty. Unit 3. One Dimensional Motion I—A Graphical Description. Unit 4. One-Dimensional Motion II—A Mathematical Description of Constant Acceleration. Unit 5. One-Dimensional Forces, Mass, and Motion. Unit 6. Gravity and Projectile Motion. Unit 7. Applications of Newton's Laws. Unit 10. Work and Energy. Unit 13. Rotational Momentum and Torque as Vectors. Unit 15. Oscillations, Determinism, and Chaos. Unit 16. Temperature and Heat Transfer. Unit 17. The First Law of Thermodynamics. Unit 20. Electric Flux and Gauss' Law. Unit 21. Electrical and Gravitational Potential. Unit 22. Batteries, Bulbs, and Current Flow. Unit 23. Direct Current Circuits. Unit 24. Capacitors and RC Circuits. Unit 27. Electricity and Magnetism. Unit 28. Radioactivity and Radon. Appendix A: Computer Spreadsheets and Graphs. Appendix B: Computer Data Acquisition Software and Hardware. Appendix C: Statistical Measures of Uncertainty. Appendix D: Graphing Data with Uncertainties-Error Bar and Eyeballs. Appendix E: Mathematical Modeling to Fit Data. Appendix F: Uncertainty Propagation-Uncertainties After Calculations. Appendix G: The Method of Least Squares Analysis. Appendix H: The VideoPoint Software. Appendix I: Introduction to Mathematica® and Maple®. Appendix J: Notation and Constants.